A sneaker collaboration with Japan's NEIGHBORHOOD. adidas Originals teams with Japanese label NEIGHBORHOOD on these shoes, a mix of adidas heritage and modern design. 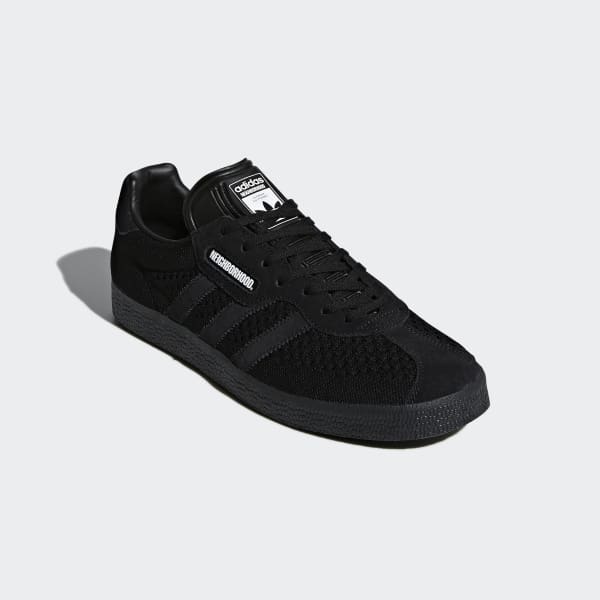 Inspired by Japanese streetwear and modern motorcycle culture, these Gazelle shoes are made with an ultralight adidas Primeknit upper and suede overlays. Special brand details accent the tongue, sockliner and heel patch.